1 map: col.; 46 x 55 cm. Notes: Hand colored. References: Stokes, Iconography, p. 147 (vol. 1), lists dates as 1651-55. See Map collectors circle, #24. Phillips, 465. 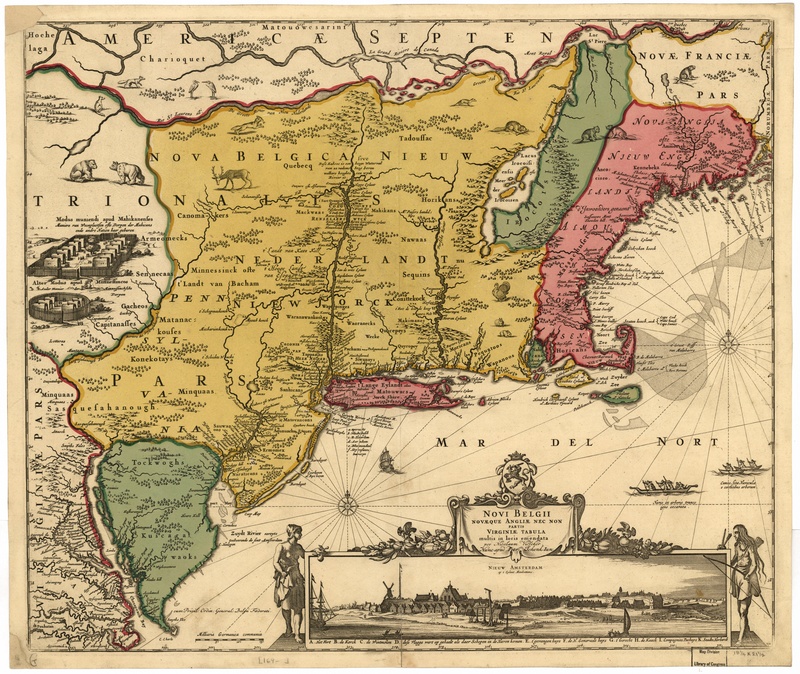 Includes view “Nieuw Amsterdam op t eylant Manhattans.” Reproduced from the original map in the Geography and Map Division, Library of Congress.